Nissan is renewing its commitment to the mid-size pickup segment, long a part of its sales success in the United States, with the creation of the Frontier Diesel Runner Powered by Cummins™. 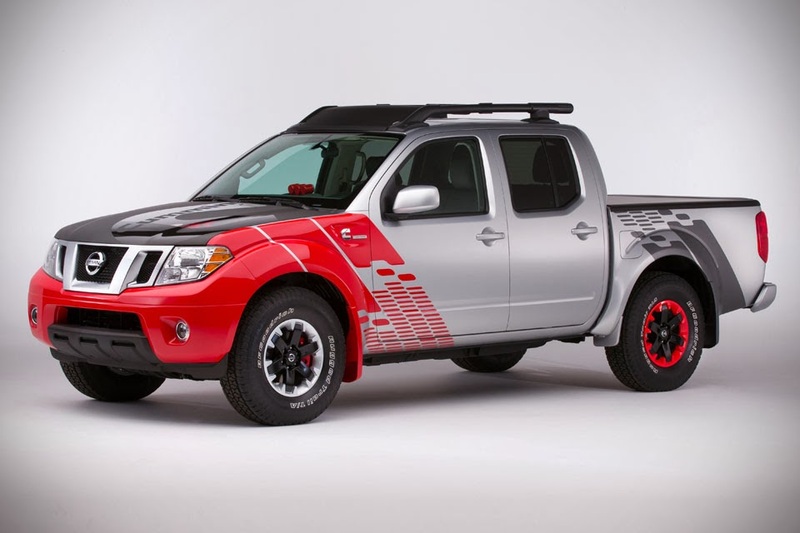 This project truck, based on a Frontier Desert Runner 4×2 model, serves to both gauge the market reaction to a Nissan mid-size pickup with a diesel engine and plot a potential future direction for the Frontier. The Frontier Diesel Runner Powered by Cummins arrives a mere six months after the announcement of a partnership with Cummins Inc. to provide a 5.0-liter turbo diesel V8 in the next-generation Titan full-size pickup, which will arrive in calendar-year 2015. At the heart of the Frontier Diesel Runner Powered by Cummins is a 2.8-liter 4-cylinder diesel engine designed to meet or exceed future emissions standards. 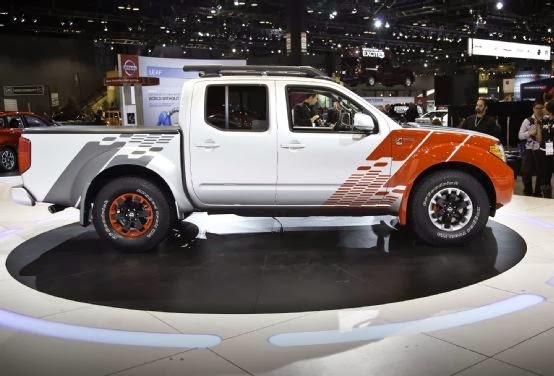 As adapted for use in this truck, the engine produces nearly 200 horsepower and more than 350 lb-ft. of torque, while increasing fuel economy 35 percent over a V6-powered two-wheel drive 2014 Frontier. Backed by a ZF 8HP70 8-speed automatic transmission, the two-wheel drive diesel Frontier maintains, and even increases, the usability of a Frontier truck. Along with the mileage increase, payload and towing capacity are expected to be in range of that offered by the V6-powered Frontier. While not a “plug-and-play” engine and transmission installation, many of the Frontier Diesel Runner project’s key components, from the body to wiring harnesses to the radiator and more are from a production 2014 Desert Runner. The Frontier Diesel Runner Powered by Cummins was designed by Nissan Design America in San Diego, CA in conjunction withNissan Global Design Center in Atsugi, Japan. Exterior modifications include a custom paint treatment that mixes three elements: a bright high-gloss “Arrest Me Red” color inspired by Cummins’ engine red; a raw “Matte Silver” color created to express the steel body-on-frame Frontier chassis foundation; and carbon fiber and carbon fiber film accents to signify the truck’s outstanding performance and efficiency. The Frontier Diesel Runner’s interior mirrors the silver and red exterior design, with red accents throughout and carbon-trimmed seats and panels. The front and rear seats feature carbon-print leather appointments with grey accent stitching and black-on-black “Tracks” embroidery. 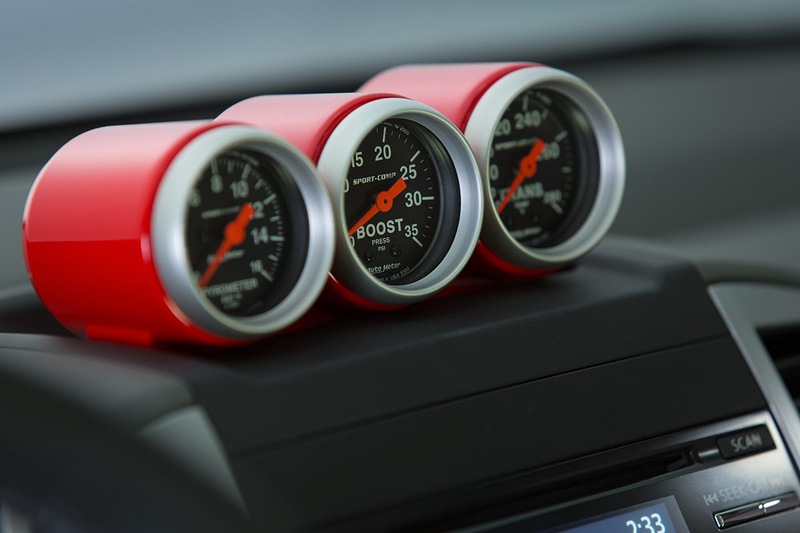 The carbon film-wrapped instrument panel is highlighted by red-tinted gauges and a special black-faced diesel-specific three-gauge pod on top of the C-cluster. Completing the interior enhancements are embroidered floor mats and theme-colored shifter knob and steering wheel. “We hope consumers in Chicago and across the U.S. will let us know what they think of the prospects of a diesel engine in this segment,” Loing added.